Admission to the PGDM(C) programme requires a Bachelor’s degree (in keeping with the 10 + 2 + 3 system) or an equivalent qualification in any discipline recognized by the Association of Indian Universities (AIU). Candidates appearing for final examinations towards a Bachelor’s degree (or equivalent) are also eligible to apply. The MICAT also includes psychometric profiling to assess the fit between the candidate and careers in Strategic Marketing and Communication. Based on the MICAT performance (only), the candidates are further shortlisted and invited for the final round of selection – the Group Exercise (GE) and Personal Interview (PI). The GE offers a platform to assess a candidate’s personality, clarity in thought and ability to work in a team. 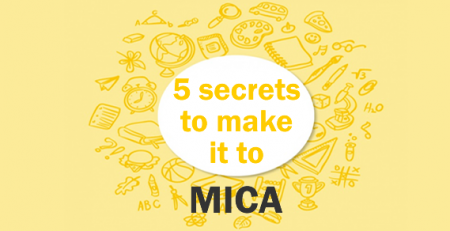 The PI helps understand a candidate’s knowledge, determination, maturity and ift into the culture of MICA and the industries it caters to. MICA invites Industry Experts, HR and Business Heads in the PI, to ensure that the skills of the shortlisted candidates are in line with the requirements of the industry.